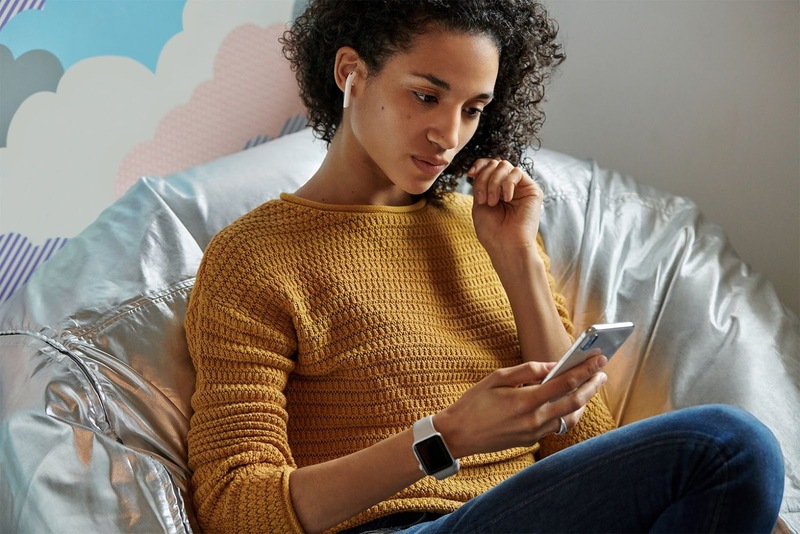 Apple on Wednesday announced a successor to the AirPods earphones, available to order starting today ahead of in-store availability next week. The new Apple-designed H1 chip, developed specifically for headphones, delivers performance efficiencies, faster connect times, more talk time and the convenience of hands-free "Hey Siri.” AirPods come with either a standard charging case or a new Wireless Charging Case for convenient charging at home and on the go. The Qi case has an LED light on the front to give you the charge status with just a glance. And because it works with the original AirPods, existing AirPods owners can purchase the standalone Qi case. Apple is even providing a cool personalization option in the form of free laser engraving, a first for AirPods, available at no additional charge during checkout. The new AirPods can be ordered today through Apple.com and the Apple Store app ahead of in-store availability starting next week. AirPods with standard charging case that does not support wireless charging are $159 in the United States. AirPods with the wireless charging case are available for $199. The standalone wireless charging case is $79.